The rest of the crew arrived today. I love seeing our driveway packed like this! There's even a travel trailer parked down the street just a bit. Since they've all just driven 7+ hours, we take it easy on the 1st day. 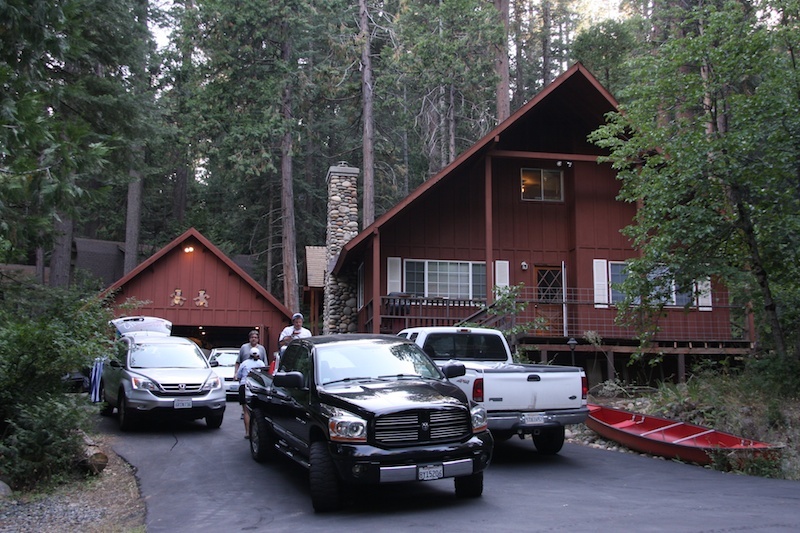 After they unloaded their vehicles, we headed up to Pinecrest Lake for a couple of hours. 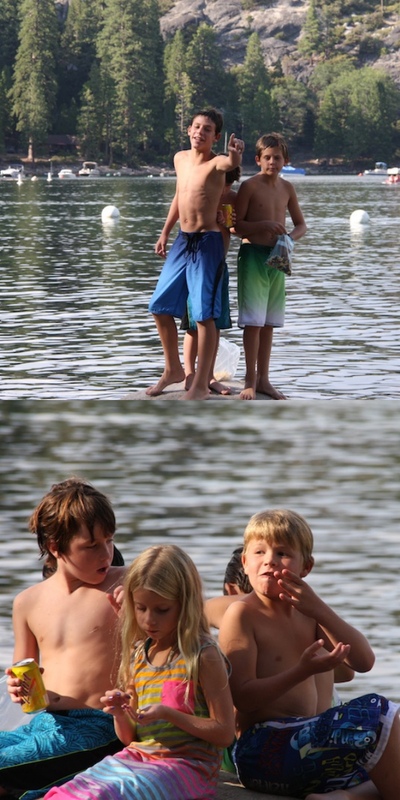 No boats, just swimming and hanging out at the shoreline. 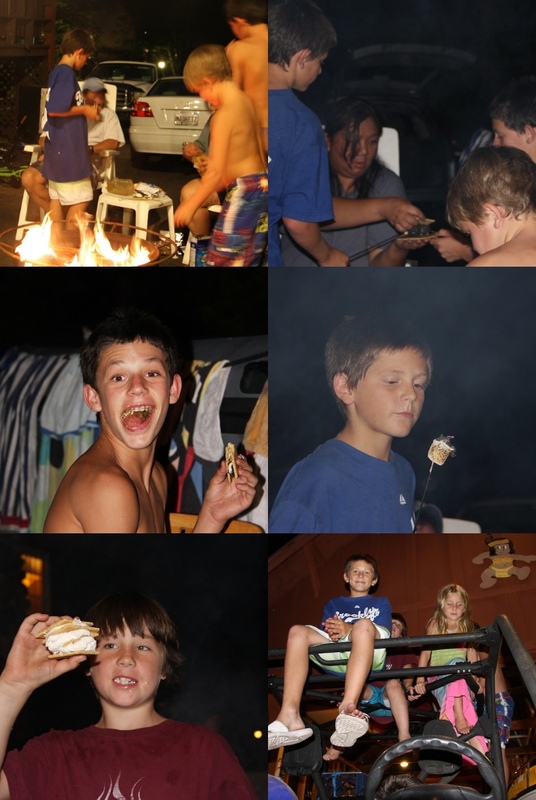 After dinner, we had to make smores...everybody loves smores!! your house will be full of laughter for days. how fun.